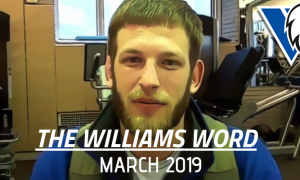 A lot (if not all) of the talk surrounding the Williams Baptist Greco-Roman team has been about its debut. And not just recently, not just over the past three or six months. 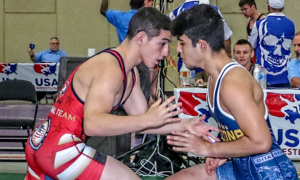 No, ever since the program was announced in the fall of 2016, conversation immediately shifted to what life would look like in the United States with another collegiate Greco squad entering the biosphere. It took some time. Recruiting needed to get done and a few WBC folkstylers crossed over, but fast-forward a little bit and here we are, on the cusp of (finally) witnessing Williams Baptist Greco athletes take the mat for the very first time in school history at a Senior-level event. Which leads us to what the latest edition of The Williams Word is all about. 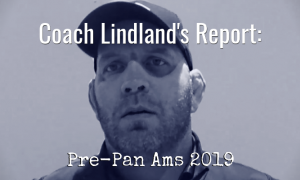 With the Bill Farrell Memorial/NYAC Open fast approaching, head coach Jonathan Drendel provides a full assessment of where his team is at now that the competition phase of their training is hitting a different gear. Although — as you will read, Drendel is quick to point out that the intensity in the room doesn’t require so much ratcheting up, if only because his athletes have bee training that way since the program formed. 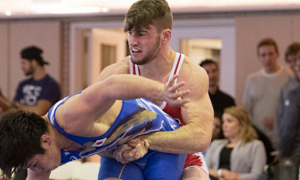 But there are other items pertaining to the NYAC tournament on the table, such as growing accustomed to the level of competition that will now become part of their lives going forward and what preparation is going to look like in Arkansas prior to the US Nationals/Junior World Team Trials later on next month. 5PM: Has the tone in the room changed at all with the NYAC tournament approaching, guys knowing that the date is on the horizon? Coach Jonathan Drendel: I think their mindset has changed. They tend to be a little more focused at this time and I’ve been making it a point to hang that out there for them. I’ll constantly be reminding them of the approaching date and not just about New York, because three weeks later we have the Nationals. It has been presenting those things out there and letting them know that the time is now and gearing their minds up towards competition. Hopefully, it has been in a way that they understand not to be nervous but to be excited, to be thrilled for the opportunity to show off what they’ve been doing all year. I think they’re mentally ready to go, I think they are focused. Physically, I know they’re doing well. They’re just ready to get on the mat. 5PM: One of the key aspects of this level athletes have to become comfortable with is travel. Your team did go over to Nebraska in the fall and you have some wrestlers who traveled during their folkstyle careers. But this might be a little different between arriving in New York, the itinerary, making weight, and so on. Are there guidelines and/or discussions that take place with you laying out what it is they’ll be encountering at a Senior-level event regarding these types of things? JD: Yes, there is definitely an element of that. You don’t want your guys going into competition to be starstruck. It’s a big deal, it is a big deal going to a tournament like this. But at the same time, you want to normalize it, This is just what we do. Even if they’ve never done it before, this is just what we do. You’re not focusing on the little things — the flights, the hotels, the weigh-ins, this and that — you’re preparing them for that, but it’s about setting your eyes on wrestling and being on the mat. That is what we know, that’s what we understand. That’s what we do. You make this all about wrestling. We want to soak up the experience, we want to enjoy the trip, but you see this as your childhood activity. This is what we’ve grown up doing, and that is all we’re going to do. We’re just going to wrestle. 5PM: You mentioned how the Nationals are a few weeks after. 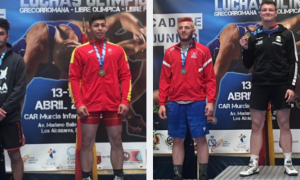 Do you also have a few athletes who are eligible to compete at the Junior World Team Trials? JD: Yes, we will. Anyone who is eligible to compete in that (Junior Trials) we will have competing. I think that tournament is a big deal, I think most people agree that it is. 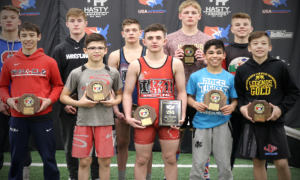 We want to get our athletes accustomed to this level of wrestling and climb their way up the ladder, so we will definitely have our Junior-age athletes competing in that tournament. 5PM: You’ve had a very long interim between events but coming out of New York you’re going to have a pretty short turnaround leading to the Nationals. How will you, at least to a degree, have to adjust the training plan before you leave for Vegas? JD: You know, there really isn’t any secret to my training plan. We’ve been training hard all year. We have been gearing up for this time all year. The beginning of the year was our offseason training and we hit the ground running. We’ve been grinding it out, wrestling hard, training hard. The guys are strong, they’re in shape, feeling good. If I’m thinking about what we’re going to do now to prepare for Nationals, then I’m already behind the gun. So we have been doing what we need to do. It’s more about getting these guys in the mindset to compete and we have been putting everything in the room in a competitive atmosphere. Everything is geared up towards competing and winning. We’re doing a lot of mock matches, a lot of mock competitions, putting our guys in position to fail, and putting our guys in position to wrestle really hard and then come back the next week to do it again. To be able to readjust, refocus, and get right back out there to do it again. I think it’s going to pay off when the Nationals roll around. 5PM: It’s March, so we have seen a handful of international events take place featuring the rule change. Going by what you’ve watched so far with the new passivity/par terre, how do you like it, dislike it, and how have you been coaching to it? JD: I actually like these new rule changes. It allows the wrestlers to wrestle. There’s not a lot of stoppage in the action, not a lot of involvement from the ref, just letting the two guys wrestle. That’s what I’ve enjoyed about it. We have been wrestling in our room according to the rules, so when we do matches on mock competition days, we wrestle the new rules. We are putting guys down when the time comes for it. 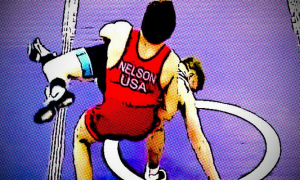 We’ve been wrestling our par terre and we have adjusted our training some, but in the long run, wrestling is wrestling. The best wrestlers will adjust to the rules and find a way to win, and the wrestlers who are mediocre will find a way to lose. 5PM: Overall, is there a feeling amongst the team essentially saying We finally have this right in front of us? Because I’d have to imagine the guys have really been looking forward to this chance to compete. Coach Jonathan Drendel: Yes, and I think that goes without saying. These guys are here to compete. And if they’re not here for that, then they are here for the wrong reasons. If anything, I think this long break has made them really appreciate the opportunity to get on the mat and wrestle. And also, to understand that careers don’t last forever. You only have so long to do it. The opportunities are very limited, so you have to soak them up while you can. Obviously, this break hasn’t been ideal. But I think we’re making the most of it. We’ve got the right mindset going into the competition phase.